It could come around 2024. Back in 2009, Bugatti showed a four-door concept called the Galibier, and it seemed like it would make it to production. That project stalled out, though, sidelined during the development of the Chiron. The idea of a four-door Bugatti hasn't been completely discarded, though, and, as Automotive News reports, the supercar manufacturer might ready the car for 2024. 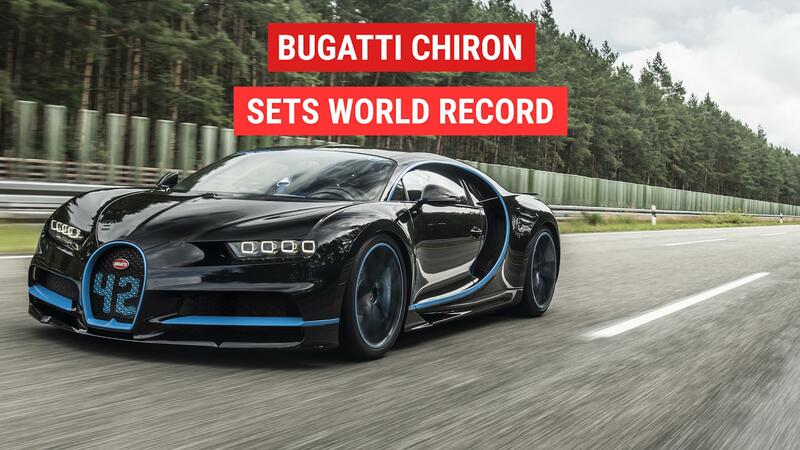 "The four-door car is not dead," Bugatti President Wolfgang Durheimer told Automotive News at the Frankfurt Motor Show, where the automaker showed a Chiron that set a 0-249-0 speed record of 42 seconds. Durheimer also suggested it would be Bugatti's sole model, as he said, "For the time I can foresee, [Bugatti] will be a one-model brand." The Chiron will be Bugatti's model for eight years, with replacement scheduled around 2024 or 2025. Bugatti hasn't decided on the powertrain for its next model, and is considering all its options, be they internal combustion, electric or hybrid. What matters, Durheimer said, is that it provides the level of performance Bugatti customers expect from the brand. Bugatti also considered electrifying the Chiron's powertrain, but, Durheimer said, abandoned the idea due to weight and packaging challenges. The company was still able to achieve 1,500 horsepower through traditional means.